Persistent cookies are used to allow the website to recognise users when they return to the site and to remember certain information about their preferences. These cookies are cookies which stay on your computer permanently, until you “manually” delete them. We have also developed relationships with carefully selected and monitored partners, to assist in the delivery of a high quality website. 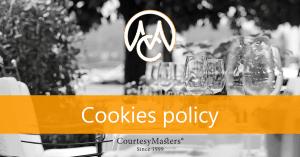 Some of these partners may also set cookies during your visit to support customisation of adverts that you may see elsewhere on the Internet, and/or in order to meet contractual obligations with us.